A. 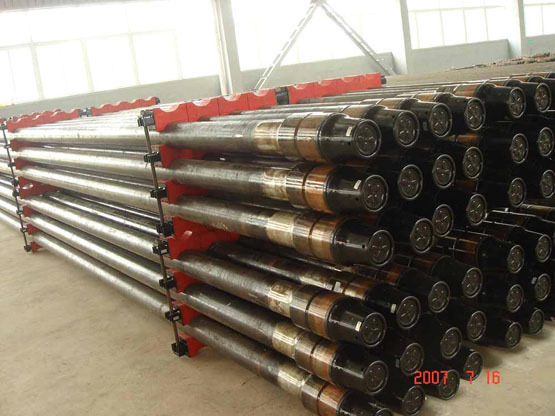 The drill rods comply with the provisions of API SPEC D & API SPEC7. B. The grade of steel are determined according to the requirements of Group 1 & Group 3 of API SPEC 5D. Our goal is to provide clients with professional & customized service, and become the most reliable solution in steel pipe trade. We look forward to cooperating with you! Our main Products covers seamless carbon steel pipe ASTM 106/A53 GrB, API 5L GrB/X42/X46/X52, OCTG oil casing and tubing API 5CT J55/K55/N80/P110, OCTG drill pipe API 5DP E75/X95/G105/S135, boiler tube ASTM A179/A210/A192/A213, low temperature steel pipe ASTM A333 Gr.6, high temperature alloy steel pipe ASTM A335 P1/ P2/P5/P9/P11/P12/P22/P91.